Add the soft scent of aromatherapy or incense oils to your home with this delightful little fairy oil burner. A magical little accessory for your home. The base depicts 3 little fairies, with jewelled wings, holding up a glass dish for the oils. This will make a great gift idea for anyone that loves fairies and all things magical. Add the soft scent of aromatherapy or incense oils to your home with this delightful little fairy oil burner. A magical little accessory for your home. 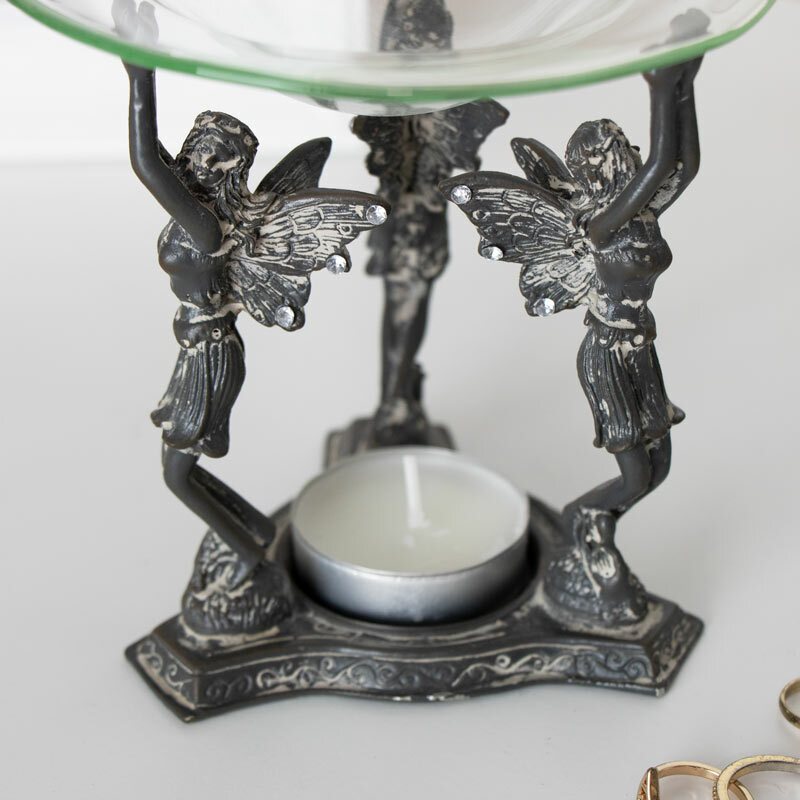 The base depicts 3 little fairies, with jewelled wings, holding up a glass dish for the oils. This will make a great gift idea for anyone that loves fairies and all things magical. 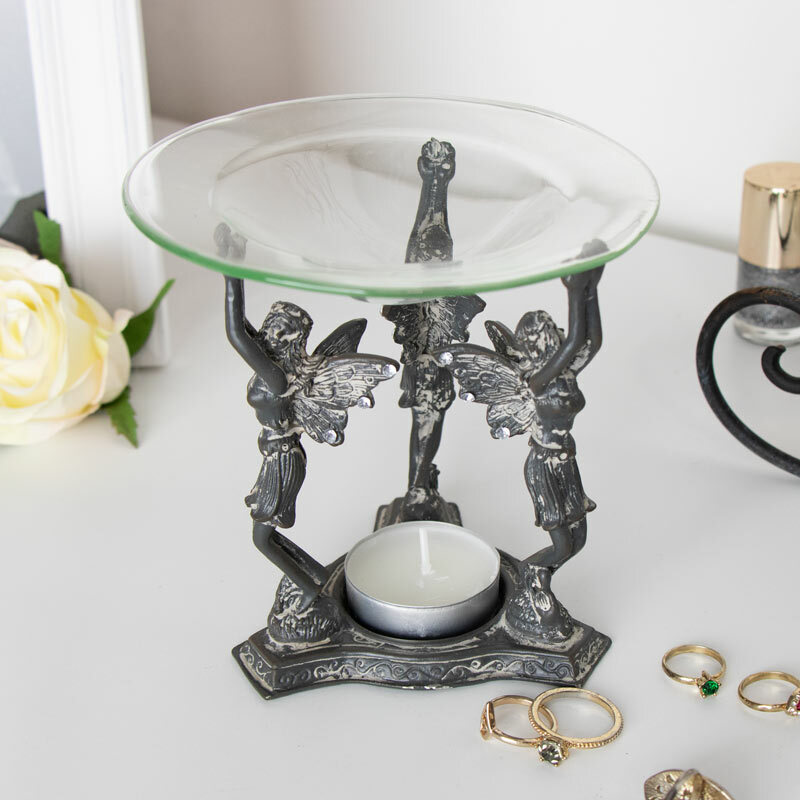 Crafted with a metal base in the shape of 3 fairies holding a glass dish. Space in the centre for holding a standard size tealight (oils and candle not included). Another great addition to our extensive range of gits and home accessories.